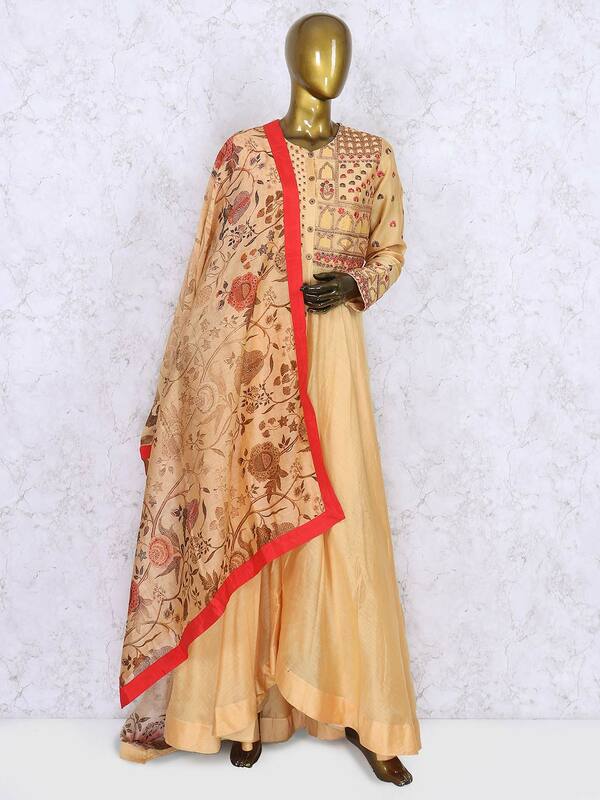 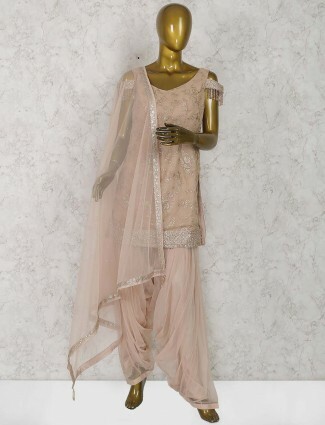 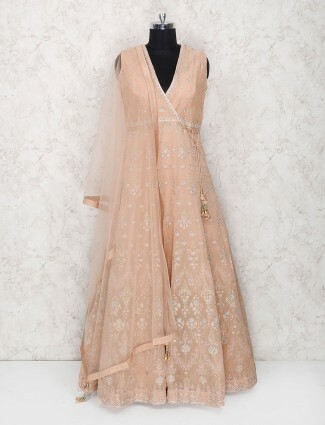 Explore yourself by wearing this peach colored cotton silk designer anarkali suit in festive and ceremonies. 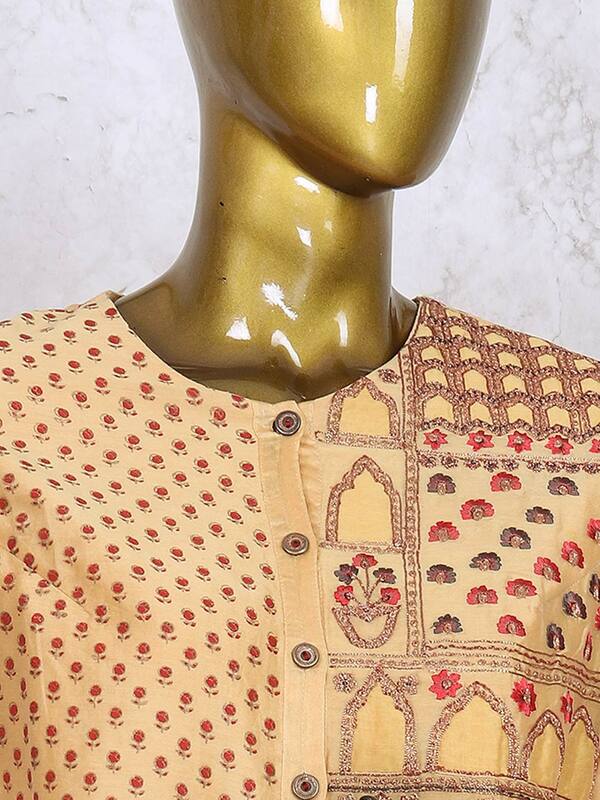 Beautify with zari and thread work on yoke portion. 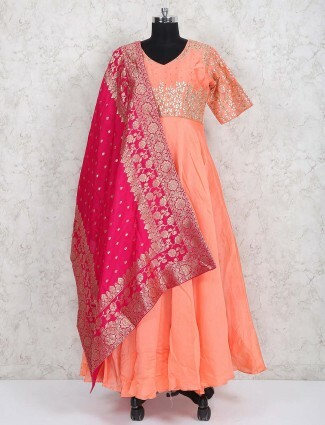 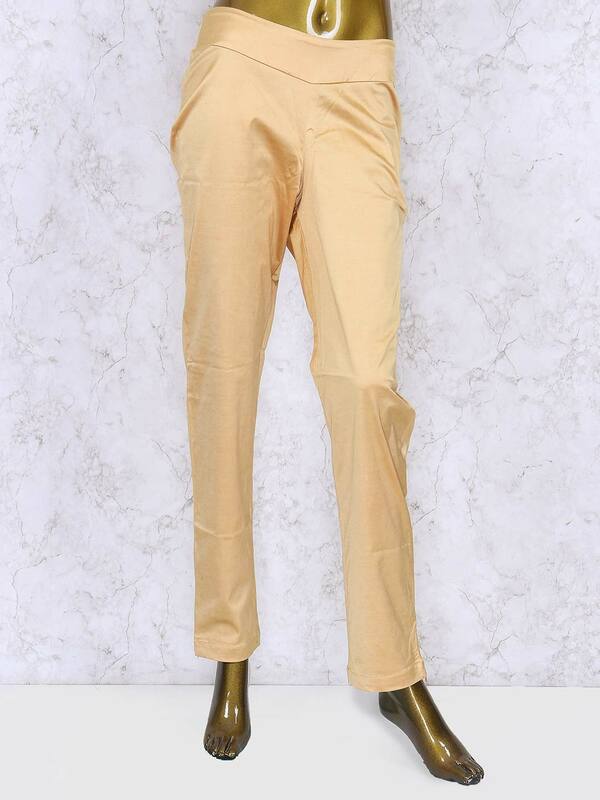 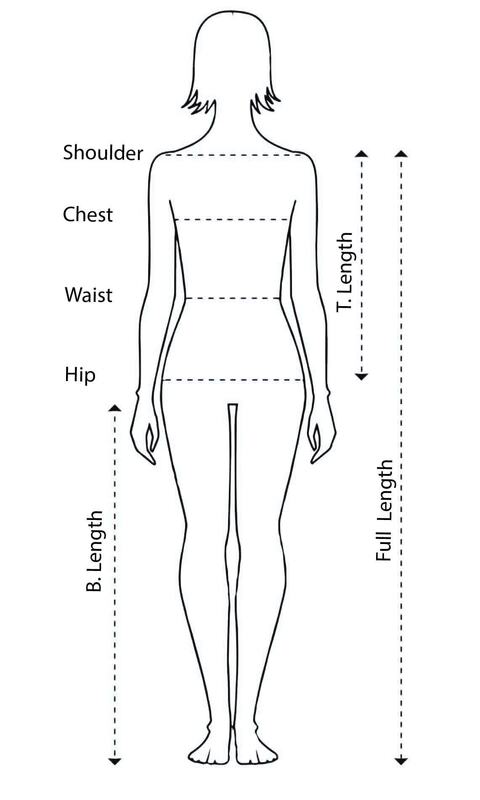 Comes with mathing leggings abd dupatta.